Type: BOOKS. Detail: Alexander Kalinin. Product Code: 9789056918132. 'I started working with Fabiano when he was only five', remembers legendary New York City chess trainer Bruce Pandolfini. 'It was obvious that he had a rare intuition, was brave in attack and was one of the most talented players of his age that I had seen.' Pandolfini had seen right. At 14 years, 11 months and 20 days, Fabiano Caruana became the youngest Grandmaster in the history of the United States and embarked on a glorious career. Among his countless tournament victories Caruana's legendary win in St Louis in 2014 stands out, making him the thirdhighest ranked chess player in history. In 2016 he became US Champion and led the golden US team at the Chess Olympiad. His magnificent victory at the 2018 Candidates Tournament in Berlin earned Caruana the right to challenge World Champion Magnus Carlsen in a match for the highest title. Alexander Kalinin chronicles the amazing story of the first American Challenger since Bobby Fischer and follows his development from a pure attacker to a universal, allround star. 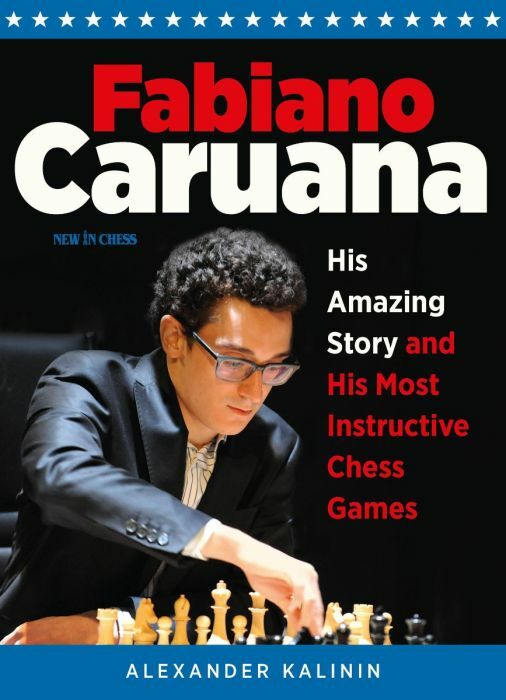 This selection of Caruana's best and most instructive games, arranged in thematic chapters, is a perfect guide for amateur chess players as there is plenty to be learned about all the skills that really matter.Softback, 208 pages. David Janowski. Cherniaev . $29.95.